Welcome to the Award Winning Michigan Center for Cosmetic Surgery, a AAAHC accredited surgical facility. We offer comprehensive cosmetic surgical, minimally invasive, and non surgical treatment options for men and women. Patients travel to our facility from around the world. Located in Ann Arbor, Michigan, we are within easy driving distance of the Detroit metropolitan region, Windsor, Ontario and Toledo, Ohio. Detroit Metropolitan Airport is less than 30 minutes away, and a short flight from Chicago, Cincinnati, and Toronto. We are known for our personable, friendly staff and the quality of care given to all our patients. Accreditation surveys have consistently rated us as exceptional. 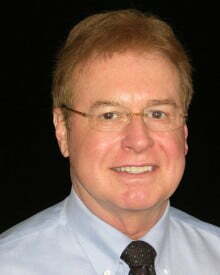 Dr. Burke is the founder and director of the Michigan Center for Cosmetic Surgery. He served as a Captain in the United States Air Force in the Air Training Command. He has a world wide professional reputation as a surgeon, educator and journal editor. He is on the clinical faculty of the University of Michigan (adjunct Clinical professor) and Michigan State University (Clinical professor). His patients love his skills and the personal touch provided by him and his staff. Many of his patients have referred their family and friends. We offer a complete range of surgical, minimally invasive, and non surgical procedure options which include treatment of the face, skin, body and breasts. Treatment is individualized based on your needs and goals. Dr. Burke’s Natural “Mommy Makeovers” combine multiple procedures involving the breasts, body, and abdomen. We’ve partnered with M-Lend and Care Credit to offer prequalification before your free consultation. The application process takes just a few minutes so why wait? Apply now and see if you qualify for interest free financing. ”Miembro de Honor” of the Asociacion Argentina de Medicina y Cirugia Cosmetica. Regular contributor to the medical scientific literature and presenter at national meetings. His original scientific study on temperature changes and monitoring during laser assisted liposculpture appears in the March 2012 issue of the American Journal of Cosmetic Surgery. Editorial board of the American Journal of Cosmetic Surgery and Maxillofacial Surgery section editor for the International Journal of Cosmetic Surgery. Researcher, FDA pre approval study of cohesive gel silicone breast implants. A ten year FDA approved study of these implants has just been completed. Researcher in Mentor and Allergen FDA post approval silicone breast implant studies.